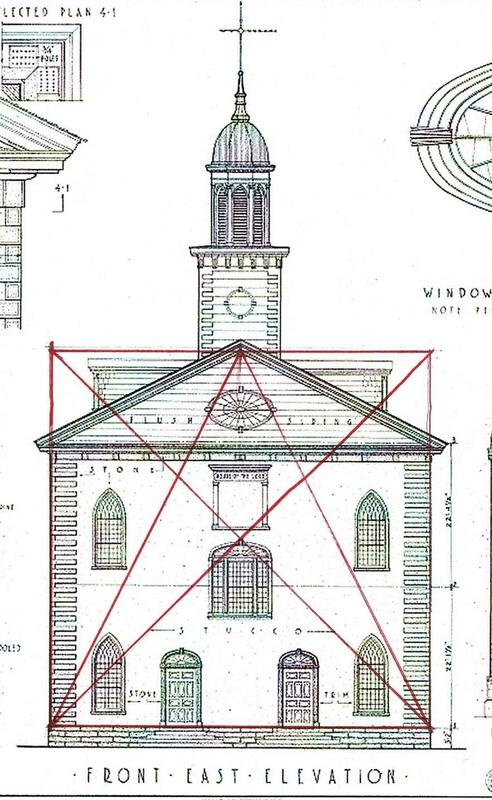 .A reader of this blog asked me to look at the geometry of the Kirkland Mormon Temple in Kirkland, Ohio. 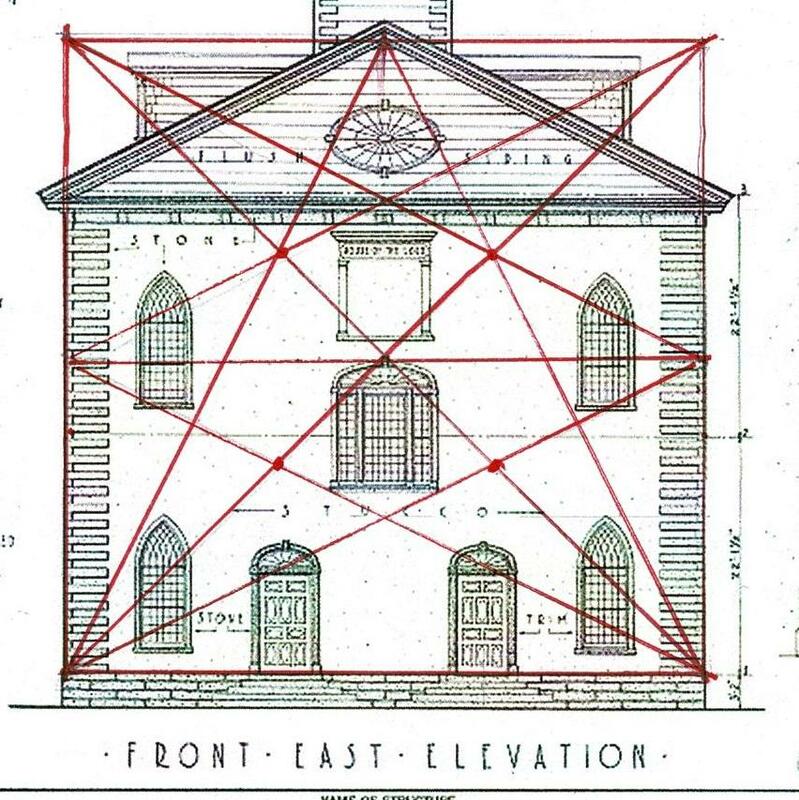 He saw similarities between the geometry of the Cabin at Tuckahoe Plantation and the Temple. 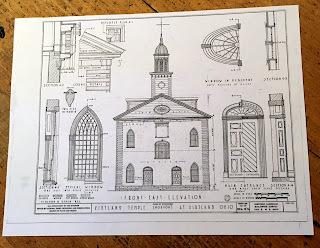 The Kirkland Temple, built 1833-6, has a design specific to its use, not a traditional church form adapted to a new way of worship. 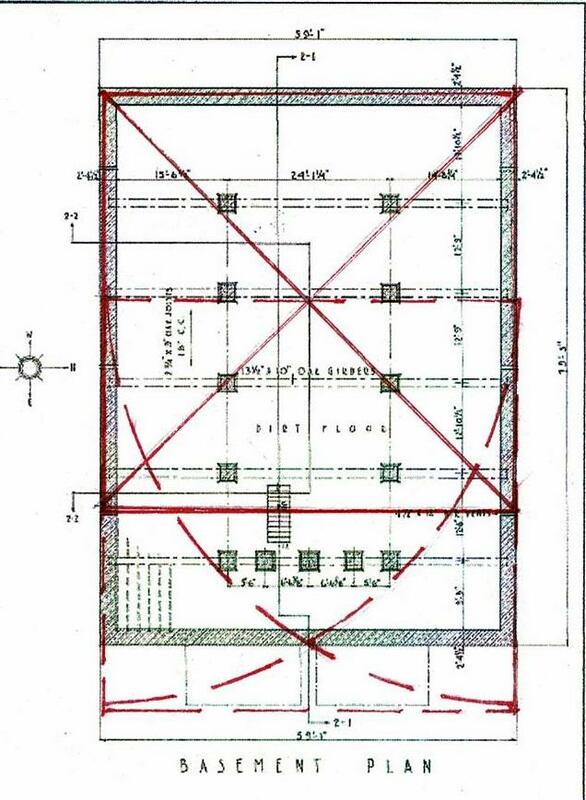 I am not referring to belief, but about how the religious group planned to meet together.The Temple has 3 floors, each for a specific use: the Church floor, the Apostolic floor, the School and Quorum floor, and the accompanying a Vestibule and Stair Well. This is different from the churches the people who built this would have known. However, the red organizing diagram for the frame was not new; it was the ancient pattern that the craftsmen had learned as apprentices. 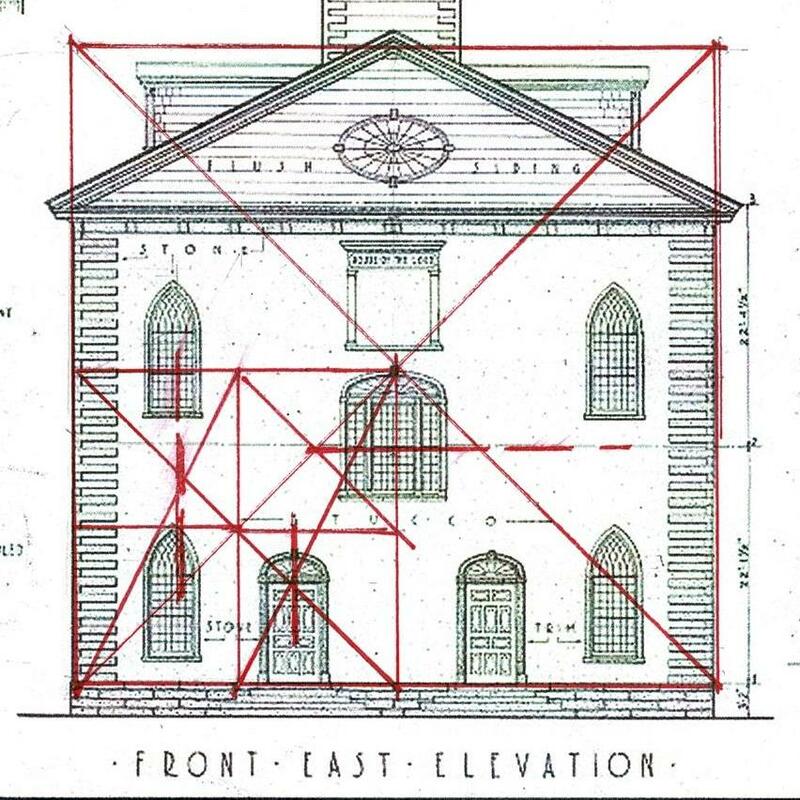 They used the Square and its Lines to plan the facade. 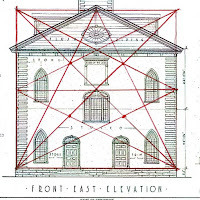 The diagonals mark the placement of the Palladian window, the Lines encompass the ellipse in the pediment. The builders did not use the division of Lines into thirds. They seem to have preferred dividing in half and then in half again. I have marked the 'third points' with red circles; the design does not depend on them. I could have left them out of the diagram. 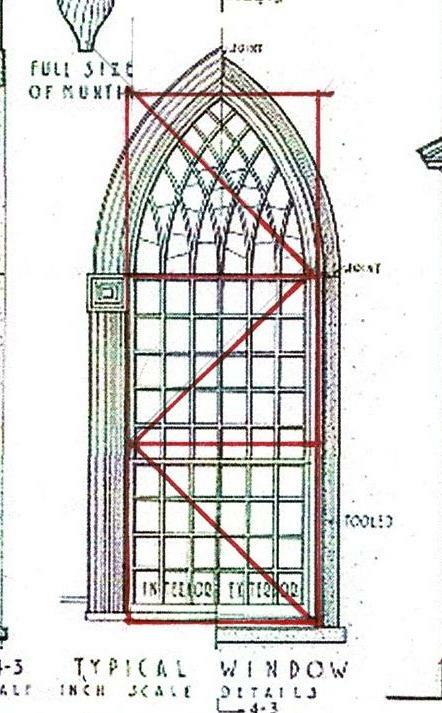 Half the square also determines very little - maybe the sash location of the Gothic windows. However, the body of the facade is 3/4 of the square, the pediment 1/4. The pitch of the roof is the diagonal from the center to the upper corner. 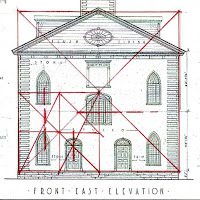 The body divided in half - or the square divided into 3/8 and 5/8 - determines the 2nd floor location - the horizontal red dashed line. For clarity I have only laid out one quarter of the possible facade Lines - the red square on the lower left. Half the quarter seems to set the height for the Gothic windows on the first floor. 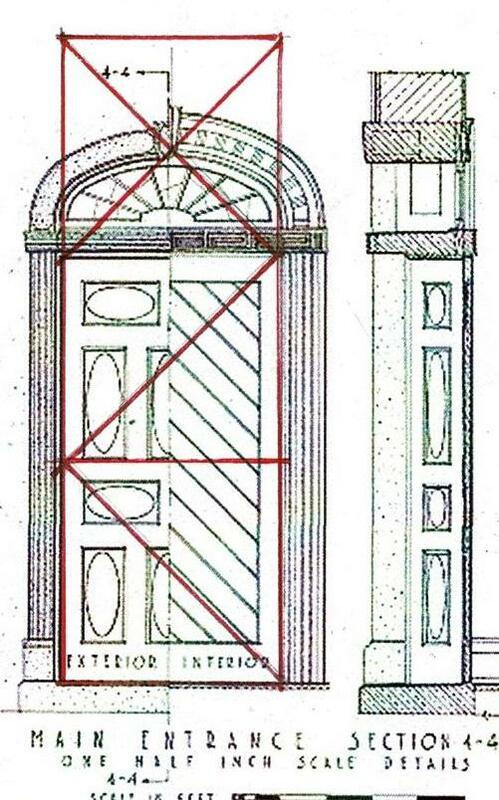 3/4 of the small square seems to locate the door with its fanlight. 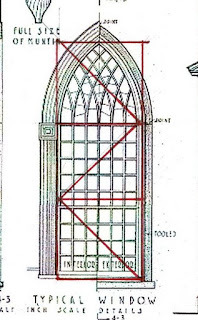 The location of the Gothic windows does not quite work - the vertical red dashed lines. The west elevation is much the same, not quite symmetrical. 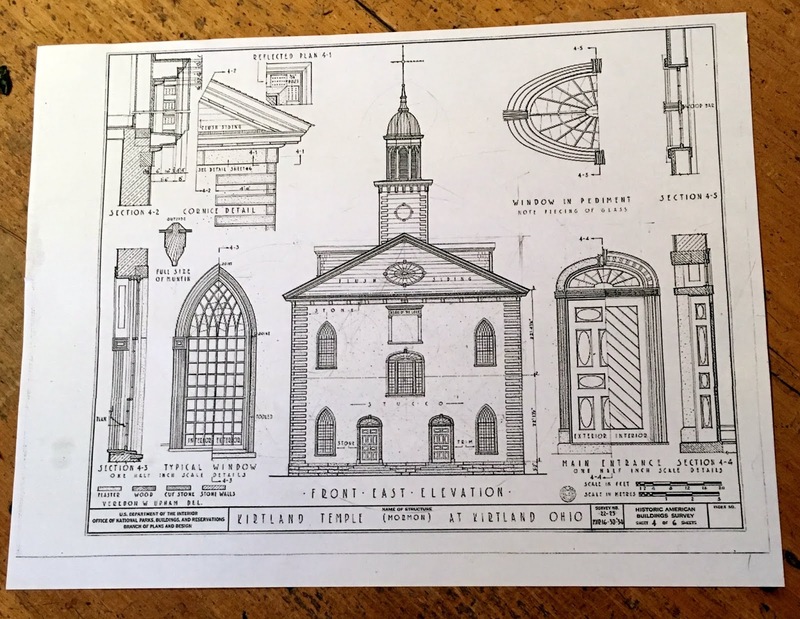 The plans show that the windows were set to accommodate the stairs in the Vestibule and the seating the Church and Apostolic spaces. The plan is a square, solid red lines, and an overlapping 2nd rectangle whose length is determined by the overlapping arcs of its width, dashed red lines. Again I would like to compliment my analysis by the experience of being there, walking through it as well as around the outside. For example here the 2 overlapping squares seem to include the platforms and stairs in front of the Temple. If I were there I might understand if the stairs had been part of the intention of the original design. 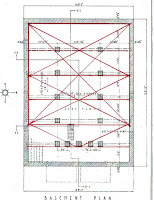 The division of the square into quarters locates the columns and the beams along the length of the whole structure. The spacing of the columns across the width probably is 1/4, 2/4, 1/4. 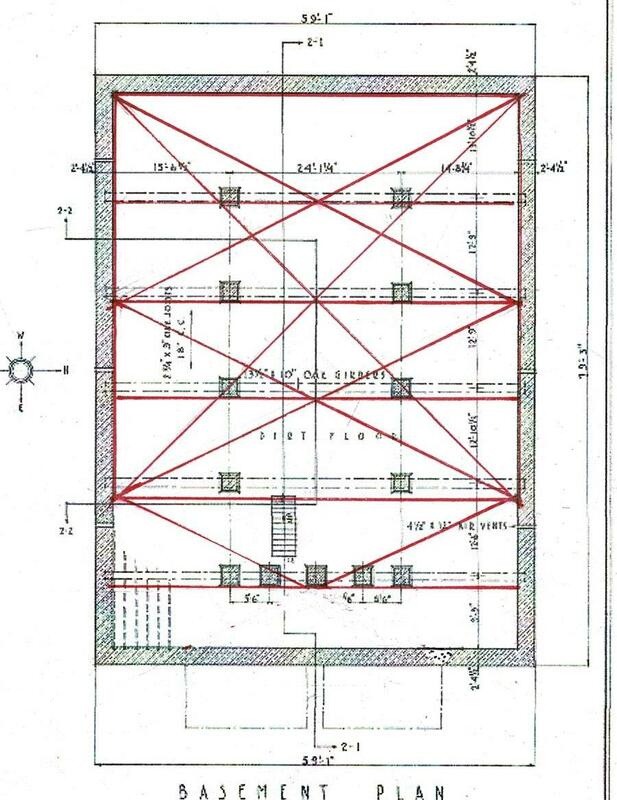 The columns in the interior elevations look wider than they are drawn in plan here. 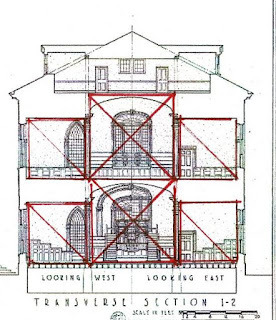 The 5 columns at the east end (bottom of the drawing) support the tower. The Gothic windows and the Federal doors also use squares, and their division into halves as the initial layout. The interior dimensions - the panes, the panels - do not seem to follows the same pattern. The Church sanctuary and the Apostolic floor both have a central square flanked with smaller ones on each side. The regular spacing of the columns, the square side aisle bays between them, and the central naves with arched ceilings facing Palladian windows create 2 dramatic spaces. I do wish there was more information about the framing. Look at that blank space above the side aisles! I found a use of Practical Geometry that was very basic. Perhaps it allowed untrained members of the community to help with the construction. From the photographs on the Kirkland Temple website the community seems to have created a striking building with effective spaces. 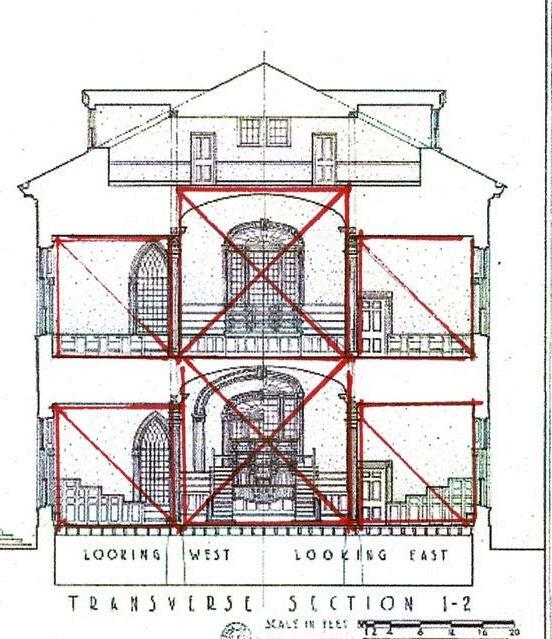 The structure was measured in the 1930's for the US Dept of the Interior; the drawings are now part of the HABS collection in the Library of Congress.